Oh my goodness, you guys, the weather here in St. Louis is just wonderful! Sure, we’ve had our fair share of rain, but that means that summer is coming! As a work-from-home mom (a change that just happened, eek!) I’ve been compiling tons of activities to keep my daughter occupied this summer, but on a budget. Of course, my plans for the summer including tons of yard-saling for kiddo clothes, shoes, Christmas presents, and a few kitchen items – follow along on Instagram to see what I’m scoring at Yard Sales this summer! To get more details about all of the activities in this post, just click on the image! 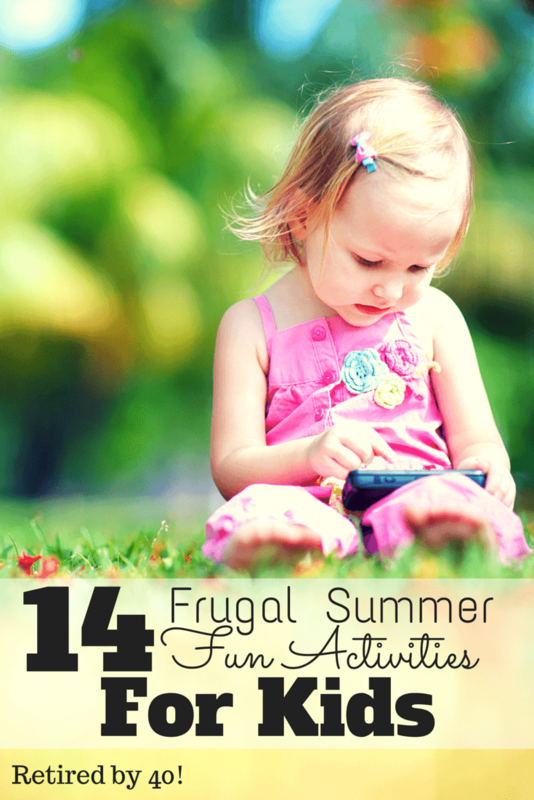 Get excited about summer, because this is one of my favorite outdoor activities for the kids! They have so much fun excavating the toys out of the ice. Just give them a few tools (hammer, screwdriver, etc. ), and watch them dig for joy. They will want to do this over and over again! At the grocery store you can spend a fortune on frozen treats, but I’m here to tell you that you don’t have to! Making your own popsicles kills two birds with one stone: it keeps the kids occupied making them and eating them! In St. Louis, the Zoo is one of the best ways to beat to heat! Here, the zoo is FREE, and has a dedicated children’s zoo with a water playground section. I’m guess that most cities have something similar, if not better, and that if admission isn’t free, it is pretty cheap. Grab the kids and head to the zoo and use their water to cool off! At-home slip n slides are insanely easy to make! A tarp, some leftover plastic, or even a cheap slip n slide from the dollar store can provide hours of entertainment for the kids – plus the water will help to keep them cool! Hold contests with fun little prize or points for even more fun! Play in the hose! You don’t have to buy anything special for this activity – simply hand the kids the garden hose and let them go to town. You may want to supervise to ensure that sharing is happening, but a garden hose will keep them entertained all afternoon. Head to the pool! Be it a pool in your backyard, a friend’s, or the community pool, spending the afternoon at the pool ensure that the kids have a great time, and are exhausted at the end of the day. Finger painting outside can be a great way to beat the heat! Set the kids up on a sidewalk with jars of paint and let them go to town! When they’re done, take a cue from the hose and get rid of the mess! This activity is my personal favorite because it combines chores and fun! The water is great way to cool off, and for some reason, kids love washing cars! Seems unconventional, but setting up water bottles as pins and using any old ball as the bowling ball can be a blast when set up in the shade. You can do outdoor bowling with things you already have on hand! Keeping kids entertained during the summer is difficult, regardless of whether or not they’re in school during the year can be challenging. In my case, I’m working from home with an 18-month old and I have lots of time to fill for her! Your children may be older or younger, so some of these actviites may be more or less appropriate, so choose what you think will interest them! Icy treasure hunt is such a great idea. My family in the states always has a family picnic each summer and I think this would be a great activity to add for the little ones. Thanks for the idea! !